Investing has today, more than ever before, become almost a national pastime. In the past, for many years Savings and Loans normally paid 5% interest on savings, and even that seemingly generous amount was compounded quarterly, sometimes even monthly. That was investing. Even the USPS had a savings program. But in recent years following the collapse of the S&Ls, more and more brokerage firms have sprung up around the country, all vying for that extra money you’d like to put to work for you. While it is certainly true that money hidden under the mattress is like a vegetable garden lying dormant, it is also very easy to lose that money. It can be done easily and quickly. To their dismay, many have already learned this after following the advice of a broker who may not be quite at the top of his/her game. These day, TV channels abound featuring financial gurus who throw out advice and predictions in fast-paced chatter and amid action that tends to make the viewer get that “Wall Street” ambience and excitement. But how accurate are these investment programs? Can you really jump on the bandwagon and follow their advice to make quick money without risking your life savings? Investing money can be exciting, profitable and just plain fun, but it can also be a gamble. In many cases, the investor might do better playing Keno at a local casino. Just hearing that an investment is good or promising is not exactly a guarantee of any sort of return for the investor. One important thing you can do from watching TV finance shows is managing money. These shows can teach the viewer a great deal about the general management of money and many of the inroads and pitfalls of investing. This is basically a free school for potential investors, and watching and learning can be very rewarding later on. But wait! That doesn’t mean that ten minutes after tuning in to a financial show, the viewer should pick up the phone and call a broker. There’s a great deal to be learned about wise and prudent investing. Suze Orman is well-known and very popular. Ms Orman dispenses one-on-one personal financial advice and is said to make callers feel she is really their friend, a friend who wants to help. The Bank of Mom and Dad show isn’t exactly about investing as such, but rather helps older parents deal with their irresponsible adult children who often move back in with their parents. Although parents love their children, this situation can quickly become intolerable when two grown generations clash, and this program helps people figure out what’s going on and what may be done about it. Dave Ramsey can offer a lot of good advice on cleaning up your credit and strategies for getting out of debt. You can’t hope to do a lot about investing when you’re head over heels in debt, and all that debt can make life a waking nightmare. The Barefoot Investor is a show that offers plenty of good advice on money management and investment as well. Kick off your shoes and sit back with a cup of coffee and enjoy. 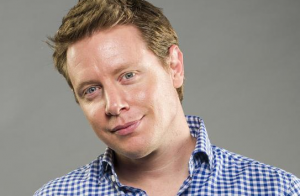 Pimm Foxx on the program Taking Stock, interviews important voices in the financial world and the viewer can learn a great deal about money and investing from this show. 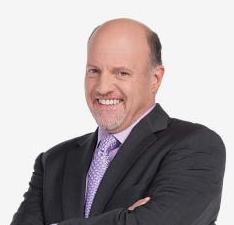 And we couldn’t finish this article without bringing out Jim Cramer and his Mad Money. Mr. Cramer is a lot more than an investment guru; he’s a showman and it shows! He can hold your attention for an hour and if you pay attention, you can really learn a lot. But one final word: When the host of a financial show predicts a rise or fall in value of any stock, you can be sure that thousands like you are watching, and that alone should make a potential investor to give the matter serious thought before calling a broker.